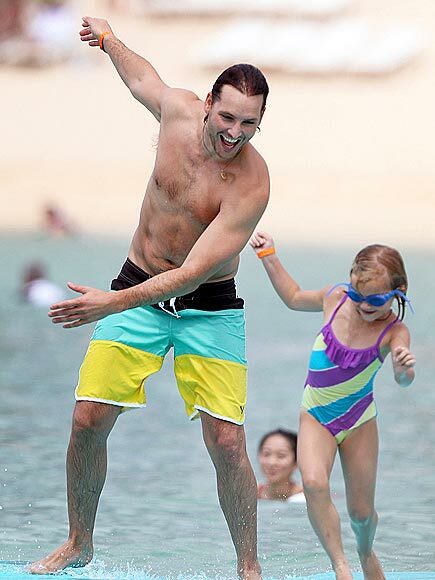 Peter Facinelli has a beach fun day with daughter Fiona, 5½. The Twilight actor is spending time in Hawaii with his three children - 15-year-old Luca, nine-year-old Lola and five-year-old Fiona - while ex-wife Jennie Garth enjoys some mommy-free time in New York. The newly single mom of three has recently dipped her toes back into the dating pool - and has been seen out and about photographer Noah Abrams, who's shot for Rolling Stone, Vanity Fair, Sports Illustrated, and GQ. The couple will welcome baby number 3 this coming winter. Paris Jackson, 14, and her brothers were in Indiana this past week to pay tribute to their dad, Michael Jackson, on what would have been the singer's 54th birthday. On Thursday, Paris was given the honor of throwing out the opening pitch at a baseball game in Indiana. Kingston Rossdale,6, gives his mom, Gwen Stefani, a run for her money during an outing in Sherman Oaks this past week. 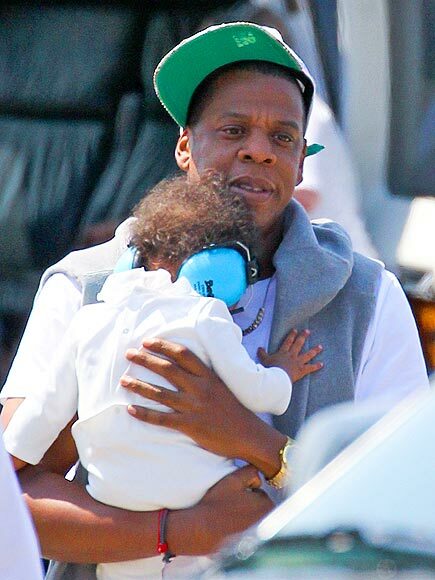 Jay-Z holds 8-month-old Blue Ivy Carter protectively after arriving in New York City via helicopter this past Thursday.